The New York Yankees are currently in a tough place right now after allowing the Houston Astros to sweep them for the first time in franchise history. They currently have 11 members of their projected Opening Day roster on the Injured List. Ironically for the bombers, that does not include the oft-injured Greg Bird. The Good News for the New York Yankees! However, there is some good news as some of those players could rejoin the team very soon. One such name is veteran southpaw C.C. Sabathia, who has been recovering from both knee and cardiac surgery during the offseason. Sabathia pitched 4 1/3 innings of one-run ball at Class A Advanced Tampa on Sunday with no reported issues. He is expected to make his 2019 debut this coming Saturday against the Chicago White Sox. 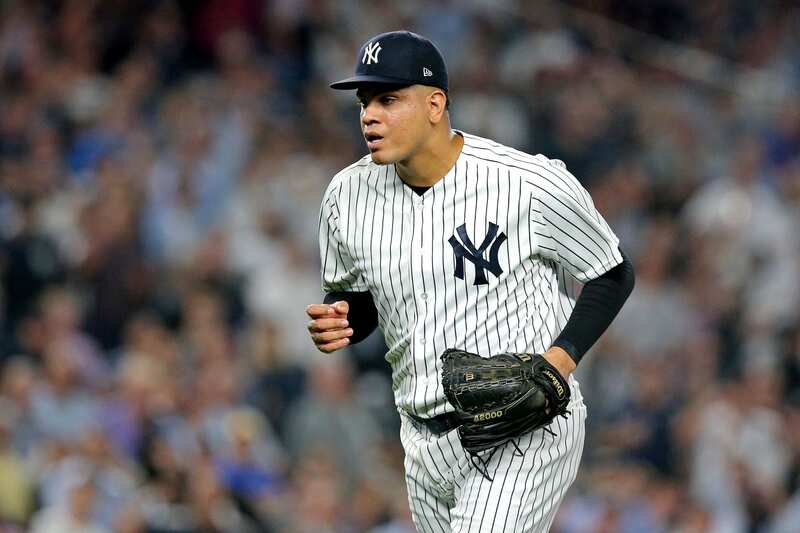 Former all-star reliever Dellin Betances may return soon as well after throwing to batters on Monday in Tampa. The 31-year-old started the year on the I.L. due to right shoulder impingement and may not be too far behind Sabathia in terms of returning. For the first time since tearing his right labrum on April 1, third baseman Miguel Andujar threw with infield coach Carlos Mendoza yesterday. Despite only being light throws, it’s a step in the right direction for the injury-plagued Yankees. He still is not expected back until somewhere in June. Ace Luis Severino suffered a setback on his road to recovery, as an MRI revealed a grade 2 lat strain that shut him down for another six weeks. Once he is cleared to start throwing again, he will have to build up arm strength and will most likely make several minor league rehab starts. That puts his return at around mid-June at the earliest. The strain was independent of the rotator cuff inflammation he suffered in spring training. That’s the only positive of this scenario. Will Jacoby Ellsbury return anytime soon? Eh… Let’s move on, shall we?